You don't often come across an item made for restaurant services available for retail. 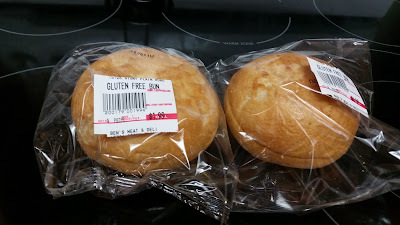 However, David, from Ben's Meats couldn't resist to make these Udi's gluten free buns available for everyone because they are that different from their store bought ones. Dave first tasted this bun at a restaurant when travelling had tracked down the restaurants supplier. Once he found out it was Udi's, he put a call in to his stores suppliers and got a hold of them for sale. The first thing that makes these stand out is that they are all individually packaged. Awesome for longevity of the item in the freezer. We all know, once we open that package of buns in the freezer, there is a good chance for moisture getting in and ice freezing to the bun for the next time you have the produce. The individual packs also make it easy to travel with it. Ben's Meats sells them for $2 a piece or a case at a nice discount. 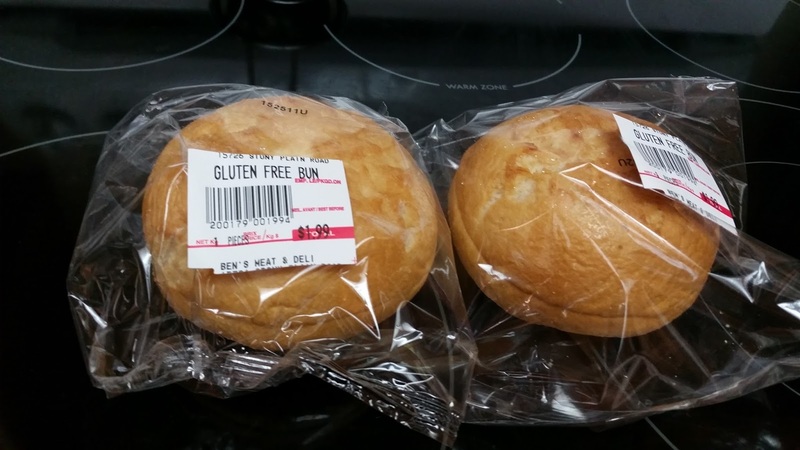 Why promote this one item at Ben's Meats and not the rest of their gluten free products? Well, that's because we already wrote about all of Ben's Meats amazing gluten free products. Don't know what to make? 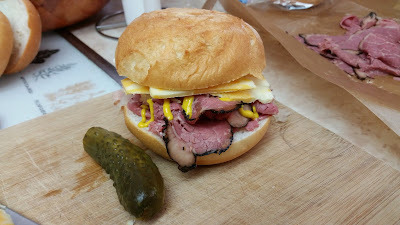 We made these delicious Montreal smoked meat sandwich with cheese and a pickle.